An allergic reaction prompts the release of many substances--including histamine—which triggers symptoms like itching, swelling and sneezing. This chemical also occurs naturally in a wide range of foods. Normally, a particular enzyme breaks down histamine in foods, heading off any negative reactions. Some people lack this enzyme and eating foods high in the chemical can trigger allergy-like symptoms, a condition referred to as histamine intolerance. If you have conditions like rosacea or eczema, hives, angioedema (swelling that occurs beneath the skin), rhinitis or panic attacks, eating foods with histamine might exacerbate these problems, reports the British Allergy Foundation. You cannot completely eliminate histamine consumption due to its presence in a large number of foods but restricting the richest sources will definitely help. Microbial enzymes present in all foods changes the amino acid histidine into histamine. These enzymes are present in large amounts during the fermentation process, making fermented foods one of the richest sources of histamine, according to the International Chronic Urticaria Society. Examples include cheeses like camembert, brie, gruyere, cheddar and parmesan, soy products like tempeh, natto and miso, sauerkraut, pickles, yogurt, alcoholic beverages and vinegar. You will also find large amounts of histamine in many plant and animal foods and beverages including anchovies, avocados, processed meats, chicken, most types of fish, spinach, tomatoes (especially in the form of ketchup, sauces and purees), dried fruits, citrus fruits, berries, apricot, cherries,eggplant, mushrooms, yeast-containing breads and chocolate. Seasonings high in histamine include cinnamon, chili powder, cloves, anise, nutmeg, curry powder and cayenne pepper. Besides limiting foods and beverages high in histamine, you must also watch consumption of items known to trigger the release of histamine from the body. The British Allergy Foundation says preservatives like sulfites, benzoates, BHT and BHA as well as artificial food colorings can trigger histamine release. Foods and beverages that prompt histamine production include alcohol, bananas, chocolate, eggs, fish, milk, papayas, pineapple, strawberries, uncooked egg whites and tomatoes. Note that some of these foods and drinks also appeared in the high-histamine list, making it doubly important to restrict these particular items. If you suspect you have histamine intolerance, you should avoid the aforementioned foods, beverages, spices and condiments for about two to four weeks to observe if you experience an improvement in your symptoms, recommends the International Chronic Urticaria Society. The only treatment for histamine intolerance involves limiting your intake of these triggers. 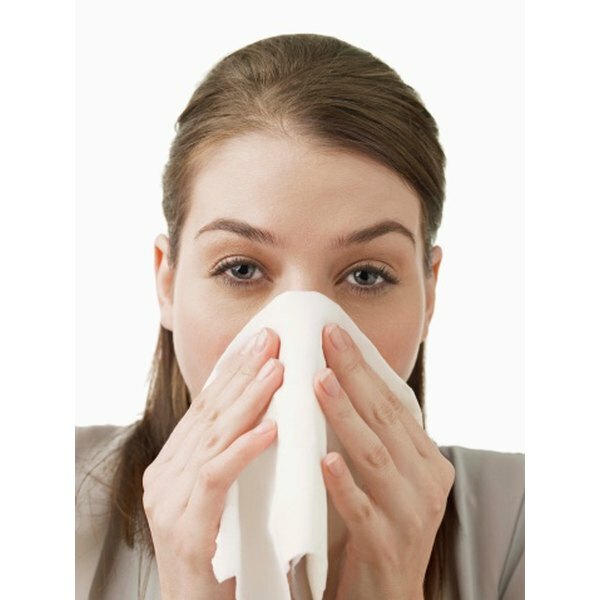 Taking antihistamine medications might also help.